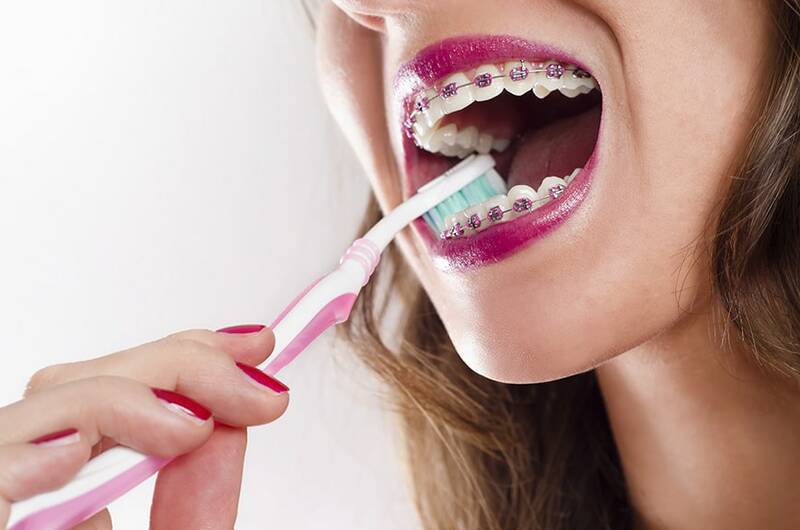 Braces create lots of nooks and crannies for food debris to hide and build up, leading to plaque formation, cavities, and even white spots once your braces are removed. 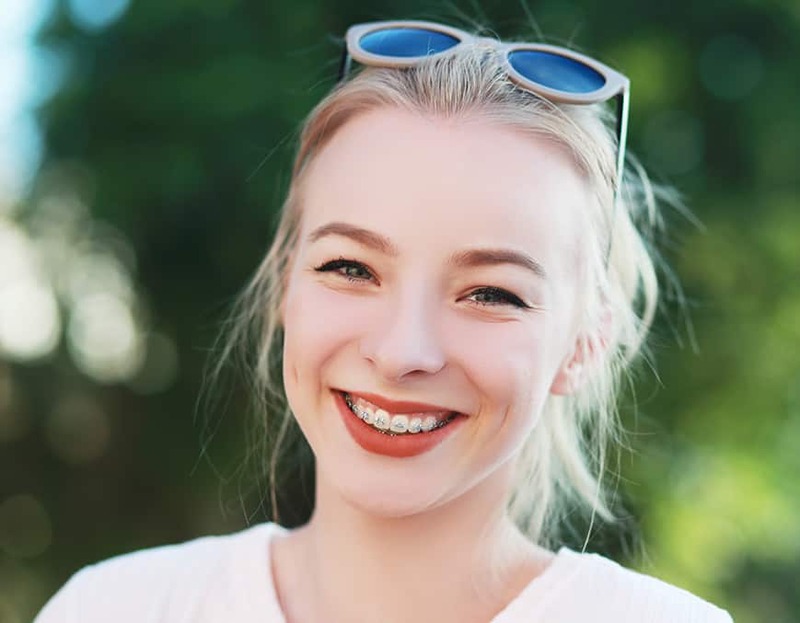 It is important to take extra time to properly clean around the brackets and wires to ensure a healthy, bright smile when your braces are removed.  Get ready to brush by removing any elastics or other removable parts of your orthodontic appliance. Clean around your braces by holding your toothbrush at a 45 degree angle. Gently clean around the wires and brackets, paying close attention to removing any debris that may be lingering. Brush your teeth. Hold your toothbrush at a 45 degree angle and move in a gentle, circular motion, beginning at the gumline of each tooth. Be sure to brush every surface of the tooth for at least 10 seconds. Floss. Flossing can be more difficult while in braces as you try to work the floss through the wires. Your orthodontist can show you the best way to floss efficiently, and you can ask about floss threaders to help improve your flossing technique while in braces. Rinse your mouth thoroughly with water or mouthwash to ensure any debris left in your mouth has been removed. Don’t forget to look in the mirror! Check your teeth in the mirror to be sure you didn’t leave anything behind. 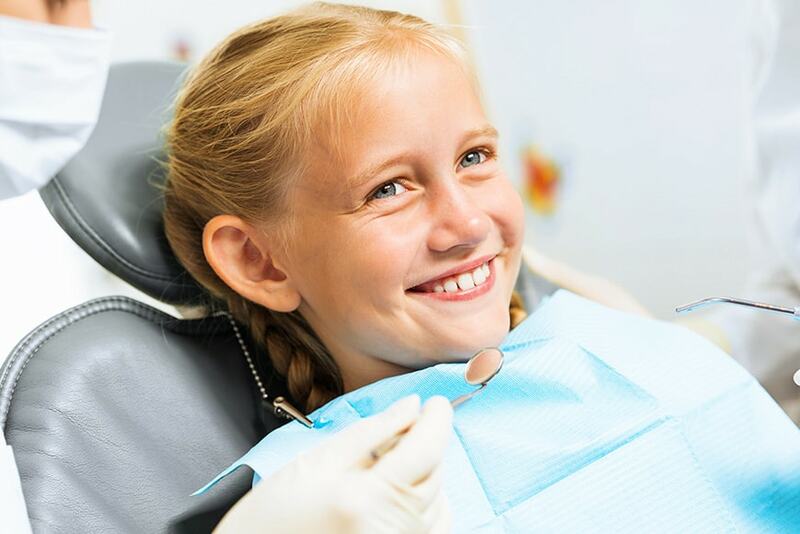 It’s also important to maintain your regular checkups with your general dentist throughout your orthodontic treatment. If an issue arises, such as a cavity or gum disease, it could alter your orthodontic treatment and extend the time you are in braces. Practicing good oral care at home and maintaining checkups with your dentist will ensure your smile stays on track.